They have confirmed that the process will involve calling a helpline number and advised that wherever possible the client/taxpayer makes the call rather than their agent. See MVD tool: who has to join? The ASA is a new online account separate from the existing online agent account which agents currently use to access to all HMRC agent services. Note that: agents may already have an ASA: if they have registered to use the new trust online registration service. Once agents sign up for an ASA they can then add clients to their account but they will not be able to see a full client list (as they can in their existing accounts) for security reasons. Agents must apply for an ASA to act for clients online for MVD. Agents must use their existing government gateway ID and password to sign up for an ASA but will then be issued with a new ID and password just for the ASA. Once registered you will be issued with an ASA number which you need to access your account. The two online accounts (ASA and existing online agent agents) will run in tandem for now although ultimately the aim will be to combine them. For now it seems the ASA will function just for MVD and trust registrations. Adding a client to your ASA does not register them for MVD, this must be done separately (see below). To register for an ASA an agent must provide details of their money laundering registration. Agents without a registration must obtain one. 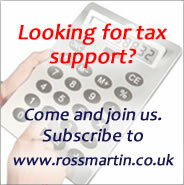 HMRC have confirmed that each agent firm can have only one ASA, even if this causes practical difficulties. All other taxpayers, whether mandated or voluntary must opt in to MVD. Simply using compatible software to submit returns is not sufficient if you have not actively opted in. Either the taxpayer or their agent (via the ASA) can sign the taxpayer up to MVD. Taxpayers should wait 6 days after their final non MVD return has been filed to sign up but this should be no later than 48 hours before their first MVD return is due, or 15 days before if paying by direct debit. HMRC have confirmed that the use of bridging software with spreadsheets is not prevented after the end of the soft-landing period in April/October 2020. As long as the correct digital links are in place a bridging system may be used indefinitely. HMRC advise that all such business have now been written to and if a business has not received a letter who thinks they fall into a deferred category they should contact HMRC on the VAT helpline. The letters on deferral have been sent to the taxpayer and not their agents therefore agents may wish to check that clients have received their letters. We understand that the main tax and accounting professional bodies have updated their standard engagement letter templates to include MVD requirements. Members should be able to access the updated versions now. A guide to what Making Tax Digital really means, how it will affect you and whether your business is exempted or deferred. Our guide to what will happen when for Making Tax Digital with all the latest updates included. Will Making Vat Digital apply to me? Am I exempted? Am I deferred. Do I need new software to file VAT returns online? Use our tool to find out.